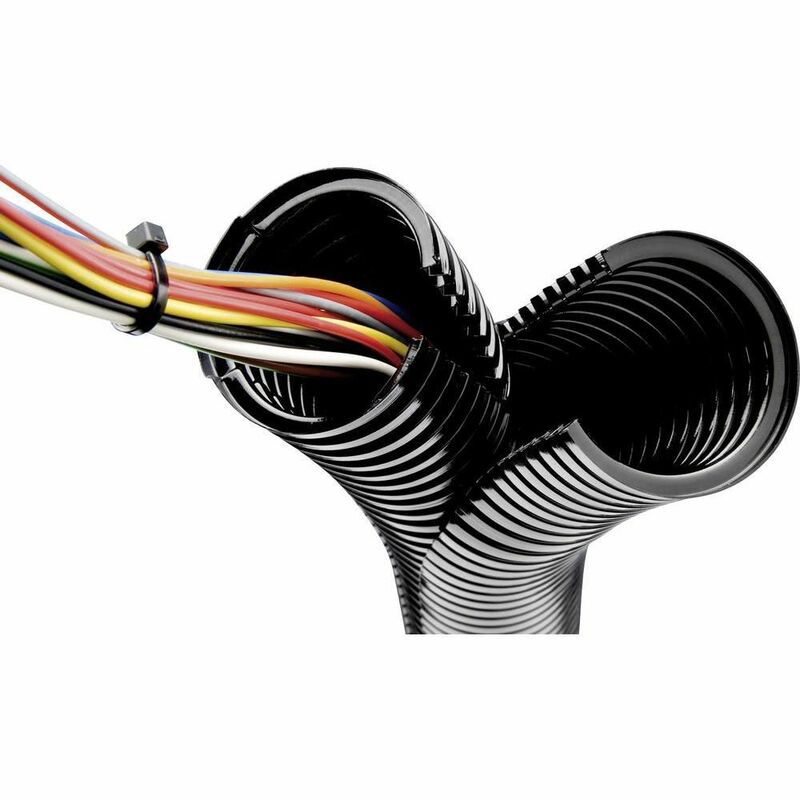 SILVYN® SPLIT PA6 45 Ø42,7xØ54,0mm Black | DamenCNC B.V.
SILVYN® SPLIT is a parallel corrugated, divisible conduit that is qualified for subsequent installation. 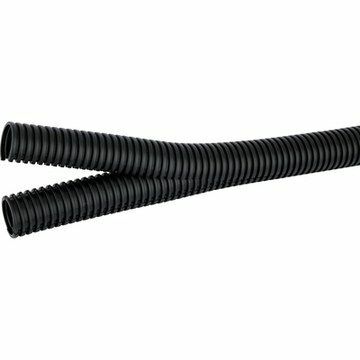 This dividable polyamide protective hose is used anywhere that, as well as physical and chemical property requirements, the facility to perform problem-free retrofitting or re-working is required. Simply open the system, place the cables in the inner hose, then close the slot by clipping on the outer hose. When used together with the hose screw joint SILVYN SPLIT COV, protection class IP43 is achieved, a high level for divisible hoses.